Hyssop (Hyssopus officinalis): growing, planting, caring. A nice and easy plant to grow in the garden, and commonly used as a medicinal plant. Hyssopus officinalis - the hyssop - is a herbaceous plant native to Southern Europe and the Middle East. It is a brightly coloured shrub or subshrub growing up to 60 cm (24 in) in height, with woody stems from which emerge a number of straight branches, lanceolate, dark green leaves, and blue or pink or, more rarely, white fragrant flowers. Hyssop is hardy to -15°C. Sow seeds directly in the garden in early spring, or earlier indoors. 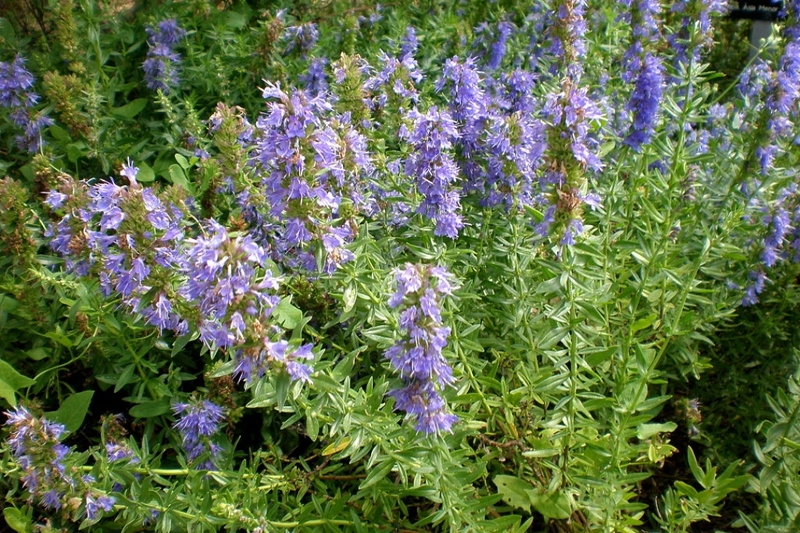 Hyssop prefers full sun to partial shade with a well drained, even dry, soil. Sow seeds just beneath the surface, approximately ¼-inch deep. Germination usually takes between 14 and 21 days, but can take as long as a month, so be patient. If sown indoors transplant after all threat of frost has passed. Space between 6 inches and 12 inches apart. 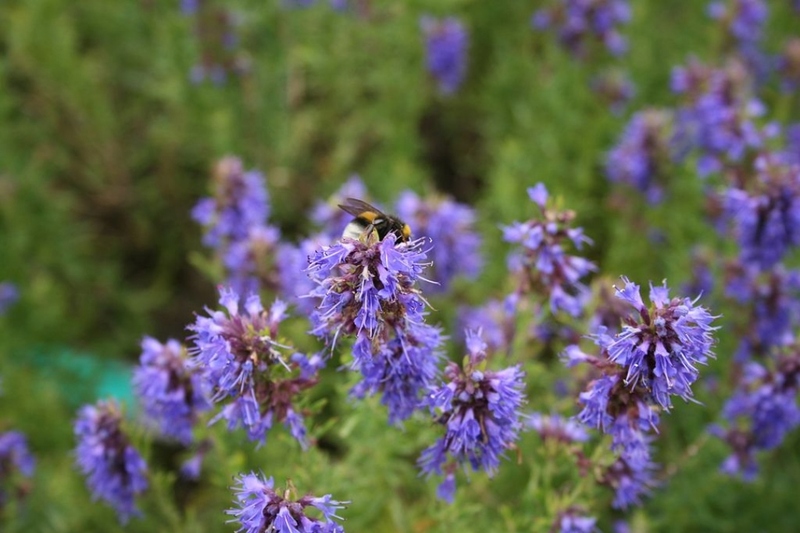 Hyssop thrives in light soil with good drainage. Direct sunlight may slow its growth, and growing it in full sun will require more watering. Space plants between 6 and 12 inches apart. The hyssop rather prefers dry soils: water mainly just before planting, during very hot periods, and of course if you are growing yours in a pot. Pro tip: never water during direct sunlight: this can burn the foliage, and wastes water. Water in the evening, but not too late. You can pick the leaves all throughout spring and summer according to your needs. Preferably choose the largest leaves by cutting the entire stem to encourage new shoots to sprout. It's better to pick in the morning before the sun comes to spoil the aromatic quality of the leaves. Also take the time to remove all the buds whose growth is tiring out your hyssop to the detriment of the leaves! Repot every year potted plants by adding a little compost: the hyssop doesn't ask for much, but growing it in a pot will eventually make it a bit pale, and repotting it will rejuvenate it.